A life-sized elephant, normally found roaming the plains of Africa, appeared in St Paul’s this morning. 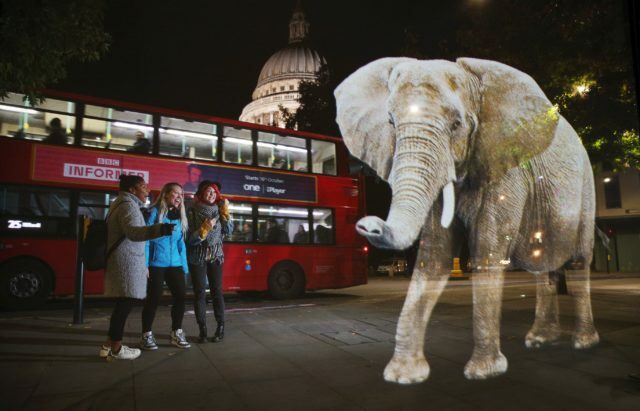 WWF released the majestic elephant hologram, standing at just under five metres, as part of their ‘Stop Wildlife Trafficking’ campaign, which is supported by players of People’s Postcode Lottery. Every year, more elephants are poached than born and WWF is calling for world leaders to commit to ending the illegal wildlife trade at a major summit on the issue in London this week. can prevent illegal wildlife trafficking. Ahead of the 11-12 October London Conference on Illegal Wildlife Trade at Battersea’s Evolution Centre, WWF is calling for world leaders to find a solution to end this ugly trade. A petition from the leading conservation organisation demands stronger efforts to tackle the corruption that enables the trade, better support for rangers, and the closing of all ivory markets. Certainly not native to the iconic St Paul’s where it was last spotted roaming about, the elephant hologram acts as a stark reminder that this iconic species may become an even rarer sight around the world. The illegal wildlife trade, estimated to be worth around £15 billion per year, endangers some of the world’s most iconic species and is a serious organised crime that damages the livelihoods of some of the world’s poorest communities. The public can also show their support via social media on Twitter @wwf_uk and Instagram @wwf_ukusing #StopWildlifeTrafficking. In addition to the hologram, WWF is enabling the nation to help “stop wildlife trafficking” with a series of pedestrian crossings redesigned with the prints of some of the world’s species affected by the illegal wildlife trade, including tigers, marine turtles, snow leopards and macaws, and encouraging the public to sign the petition to bring an end to the illegal wildlife reality. 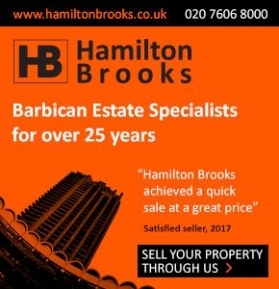 There are animal crossings, located in Battersea and Shoreditch as well as in the centre of Edinburgh, with more regional locations to be announced in the coming week. Each of the animal crossings will include a shocking statistic relevant to the featured endangered animal, to educate the public on the plight of the particular species. The elephant will be roaming London this week around St Paul’s and the House of Parliament throughout the day on Monday 8th October, Abbey Road on the evening of Tuesday 9th October and the Old Truman Brewery in Shoreditch on Wednesday 10th of October. To help support the WWF petition to end the illegal wildlife trade, visit https://www.wwf.org.uk/updates/join-our-fight-end-illegal-wildlife-trade and show your support on Twitter and Instagram @wwf_uk, using the hashtag #StopWildlifeTrafficking.